Phrenology can be viewed as a misguided attempt to understand the mind. The intent was correct in its passion but the method was incorrect. 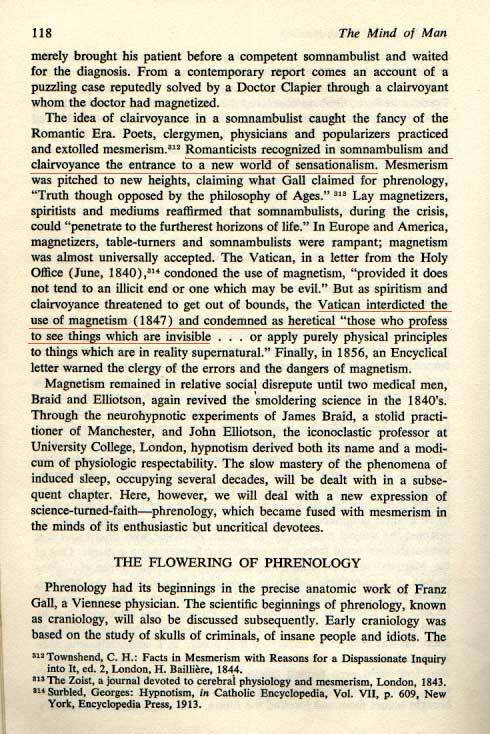 The pages later in the book begin to describe the actual science of inducing a somnambulistic state and its potentials. Ancient Peruvian skulls have been found to have major brain surgeries, a technique called trepanning, where a segment of the skull is removed. Studies of the skulls showed pieces had been removed, returned, re-knitted to the surrounding bone, years passed after the surgery. All of the forensic signs of successful surgery. Totally unexplainable from what we know medically at this time. blood flow and healing rates. Examine a modern usage of somnambulism. 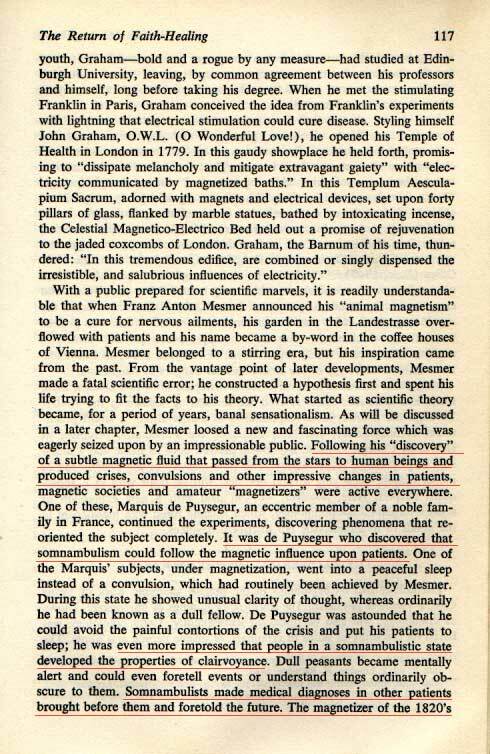 The next page deals with the era of "magnetic" induction as a concept of influence.